The park staff would like to say thanks again to everyone that came out to support our Strike Out Cancer Tournament for Breast Cancer Awareness today. 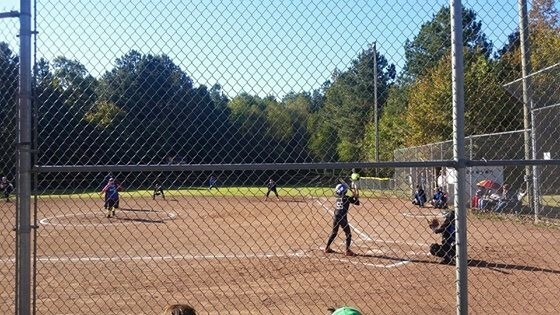 It was cold starting off this morning but turned out to be a great day for baseball and softball. There were some really good games going on throughout the day with some fierce competition and we are very impressed at what we saw from all the players and coaches. We enjoyed hosting the tournament and hope that everyone that attended enjoyed it as much as we did. We look forward to seeing you all again soon at the park.